Australia has the second-highest rate of melanoma in the world, with 14,000 new diagnoses and almost 2000 deaths each year. Lead researcher Pauline Zaenker said identifying melanoma early was the best way to prevent these deaths. "This is what makes this blood test so exciting as a potential screening tool, because it can pick up melanoma in its very early stages when it is still treatable." 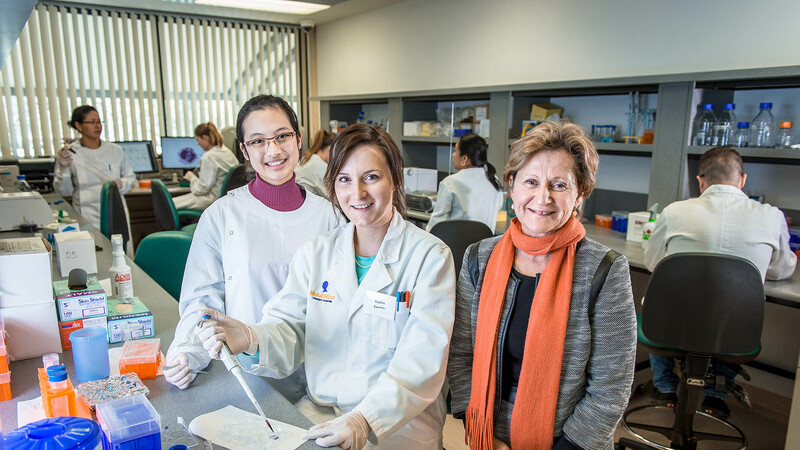 Michelle Pereira, Pauline Zaenker and Professor Mel Ziman (Head of the Melanoma Research Group). 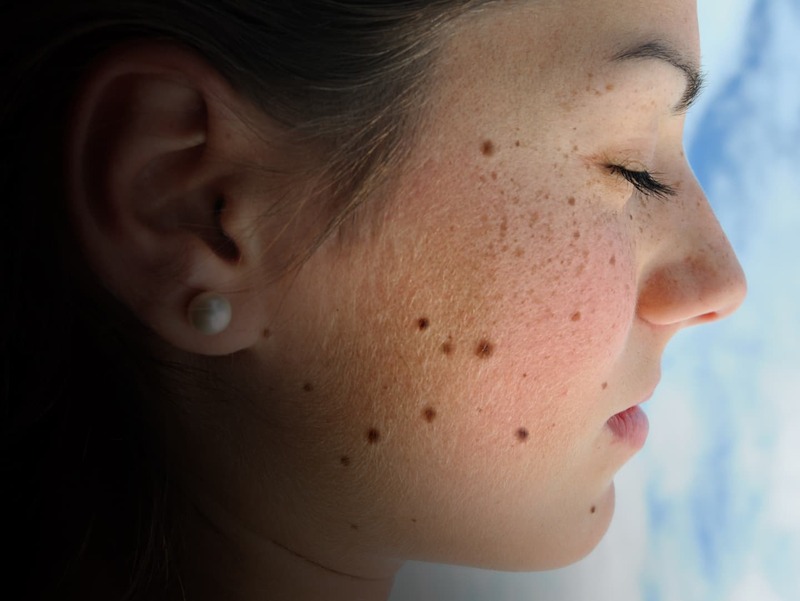 Currently melanoma is most commonly detected via a visual scan by a clinician. Any suspicious areas of skin are excised and sent for a biopsy. Ms Zaenker, from ECU's Melanoma Research Group, said the new blood test could provide doctors with a powerful new tool to detect melanoma before it spreads throughout the body. "The biopsies are quite invasive, with a minimum of 1cm by 1cm of skin excised from the patient." Australia and New Zealand have the highest rates of Melanoma in the world. If a melanoma that's less than 1mm in thickness is removed, there's a 99% chance of survival. Melanoma is the most common cancer in people aged 15-39. The blood test works by detecting the autoantibodies produced by the body in response to the melanoma. Melanoma Research Group Head Professor Mel Ziman said a follow-up clinical trial to validate the findings was being organised. "The ultimate goal is for this blood test to be used to provide greater diagnostic certainty prior to biopsy and for routine monitoring of people who are at a higher risk of melanoma, such as those with a large number of moles or those with pale skin or a family history of the disease." The results from the study, 'A diagnostic autoantibody signature for primary cutaneous melanoma' was published in July 2018 in the journal Oncotarget. Edith Cowan University is one of only 11 international research centres chosen by the International Olympic Committee to study the prevention of and treatment of sports injuries and illness. This elite group of researchers across multiple disciplines is delivering ground-breaking insights and new knowledge that bridge elite sport, community sports and public health. Bone density scans that are routinely performed to identify the risk of fractures could also give and early warning for heart attacks and strokes, new research has found. The scans can detect a build-up of calcium in the aorta, which researchers found was closely associated the risk of suffering a heart attack. Fingerprints are fast-disappearing as a secure means to access smartphones – cyber criminals have found ways around it. However, Edith Cowan University’s Security Research Institute is developing a biometric security system that scans both your fingerprint and the veins in your finger. Genesis Cancer Clinic in Joondalup, Western Australia, has an exercise clinic set up next to their treatment suites. So patients can receive supervised prescribed exercise programs on the same day they receive their chemotherapy or radiation treatment. Researchers have developed a way to use data already gathered in Australia’s most commonly ordered blood test to detect the iron overload disorder HFE Haemochromatosis. Haemochromatosis is a common genetic disorder that affects people of Northern European descent and results in too much iron being absorbed by the body. It may look like a simple piece of aluminium foil, but when added to wastewater this high-tech strip of iron can remove impurities in just minutes. The breakthrough offers new applications in the mining, textile and other industries where large amounts of wastewater are produced. It was the first piano to arrive in Australia. Now, more than 200 years later, the First Fleet fortepiano will make a return journey to the UK to be rehabilitated by master restorers. Edith Cowan University's ground-breaking marine science research will inform global climate change policy for years to come. It's vital that people with spinal cord injuries remain physically ready for the breakthroughs on the near horizon. A form of strength training rarely used on spinal cord patients due to concerns about its intensity has been shown to deliver a raft of health benefits in a small but potentially ground-breaking study by Edith Cowan University.